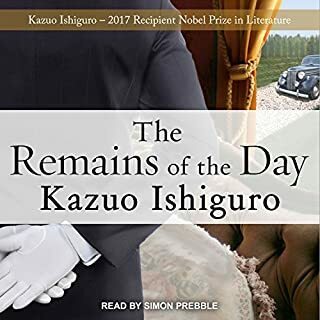 When I started listening to The Remains of the Day, I felt it was moving rather slowly and I found the narrator a little tedious. I mean, how interesting can the life of a butler really be, even if his employer is entertaining powerful men in the 1930s. But then, I switched the reading to 1.25X and whether it was the pace of the reading, or the story itself, I suddenly found myself enjoying Mr. Stevens' account very much. In fact, what started out rather slow and dull, first became amusing, and then rather funny. I started seeing the quirkiness of the characters, especially Stevens himself, and found that revelation adding immensely to my enjoyment. More than once I found myself giggling as I drove to work while Stevens stumbled through life as the consummate butler. I'm not sure if Ishiguro meant for this to happen or not, but in the end, I found myself hoping that Stevens could find his own self under the layers of butler that were built over time. 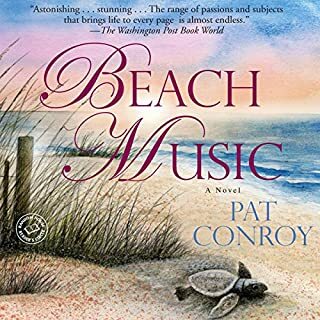 I love Pat Conroy's writing. I love his ability to tell a story with words so lush you can feel them and taste them. I love his ability to create characters that are so full of humanity that they make you laugh and cry right along with them. I love his ability to tackle difficult themes like racism and dysfunction in people and families. I love that he isn't afraid to be both amazing and disgusting while his plot twists and turns through the pages of his novels. Beach Music is all of these things. 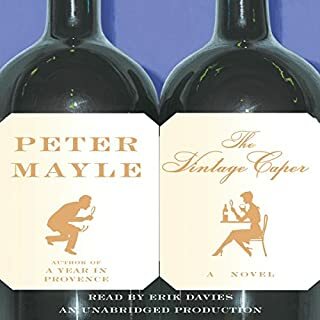 But I only gave it four stars because interlaced with the complex story of Jack, who is trying to heal from his wife's suicide while also loving his mother to the end of her life, were too many side stories that didn't really move the overall story forward. Some of the stories about Nazi Germany were interesting, and necessary to understand Shyla's character, and the detail was so complete as to bring those stories as alive as the rest of the book, but it became a distraction from the real story. The "theater" chapter towards the end was very tedious and did little more than to tell the story of the young-adult Jack and his childhood friends. It shed some light on Shyla's angst, but the tool of the theater fell flat. All in all, it was another good summer ready, another beautifully written and lovingly told story, but it wasn't my favorite. Time to find the next Conroy gem. 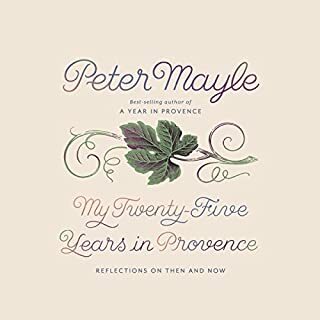 I'm sure I enjoyed this much more in the Audible production than I would have if I'd just read the book (which I think I might have years ago). Sometimes funny, sometimes pathetic, and always a glimpse into another time, the story of the avowed bachelorette, Emma, who loves to meddle in the love lives of others is charming. In a culture obsessed with food - how it looks, what it tastes like, where it comes from, what is good for us - there are often more questions than answers. Michael Ruhlman proposes that the best practices for consuming wisely could be hiding in plain sight - in the aisles of your local supermarket. Using the human story of the family-run Midwestern chain Heinen's as an anchor to this journalistic narrative, he dives into the mysterious world of supermarkets and the ways in which we produce, consume, and distribute food. I had great hopes for this book, and I did learn a few things about the grocery industry, but many of those things were depressing. I don't live in a community with the kinds of fresh and purposely acquired fancy foods that Heineman's carries and now my grocery store pales by comparison. I enjoyed the history of the industry, but that could have happened in far fewer pages. 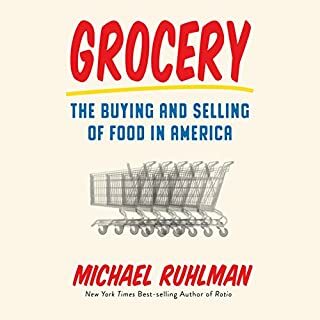 And in the end, what I will remember most about the writing style was Ruhlman's lists of grocery items, in one chapter all the frozen foods, in another all the produce. I didn't really need that. This turned out to be a much heavier read than I expected so an audiobook might not have been the best choice. 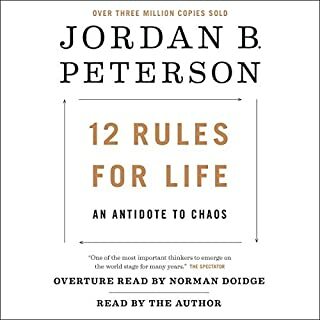 Peterson's theories are largely based on British literature and European philosophies (Milton, Nietzsche, Goethe) with more than a sprinkling of Bible passages thrown in. I found many of his assertions interesting, but was often struck by what seemed to be a faintly misogynist viewpoint. The wives in his examples are always horrible creatures who whine and manipulate and his defense of white males was completely unnecessary. That said, every day I was reading the book brought something interesting to discuss at the dinner table so it served a purpose there. And, I appreciate a book that makes me think and 12 Rules definitely did that. I'm so glad to be finished! 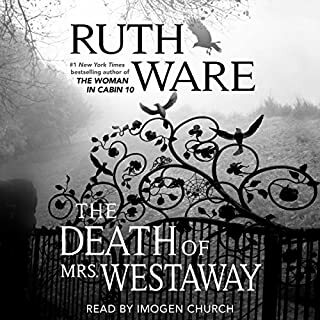 The story of Hal, the misbegotten granddaughter of Mrs. Westaway, will be one I will soon forget. So very little about this novel worked for me. A gothic tale in the 1990s? A dishonest, self-absorbed, over analytical heroine? A languid reader stuck inside of Hal's head unable to move the story along? I found it all pretty tedious and finally resorted to setting my audio-book at 1.5 speed to finish because the reader was so incredibly slow it seemed like nothing was happening. I didn't find any of the characters likable or relate-able and the gothic attempts just didn't work for me. Hal's inability to be herself and her tedious thoughts--should I, shouldn't I, should I--created unappealing character. There is very little story here so the plot drags as Hal wrestles with herself and perseverates on every little thing. I was pretty knew I knew most of the mystery about half way through, but had to wait for Hal to figure it out before the final pieces fell into place. Nope, not for me. 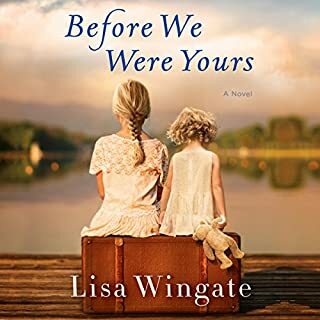 What an amazing story--emotional, poignant, horrifying, hopeful, historical, well written--Before We Were Yours has everything. The story of Rill Foss and her sisters weighed heavy on my heart the whole time I was reading and will stick with me for a long time. Even though the novel is fiction, knowing that it is based on a reality where children were used as commodities and people increased their wealth at the expense of children made me want to cry. The villains of the story are so thoroughly evil that I could find no empathy for them, only for the children who endured (and those who didn't) their system. On the other hand, Rill Foss is a real heroine. Although she makes the mistakes of a child, she also is a savior of her family, maybe not the way she intended, but a savior nevertheless. And in the end, despite the horrific happenings along the way, the story is one of hope. I'm normally not a fan of books that take place in two time periods, but Wingate is able to make it work where most authors fall short. Furthermore, her tale is so well written that I figured the mystery out along with Avery, not before as so often happens when authors attempt this device. Avery's discovery of who her family is fuels her discovery of herself and her realizations about Nell. Each story fuels the other in a consistent and believable way. 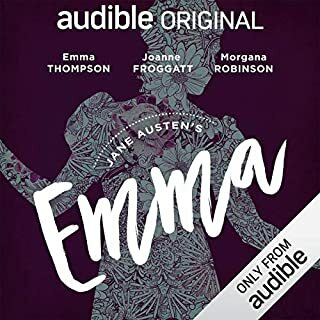 I listened to the audiobook and the readers added further enjoyment through their beautiful accents and intricate acting of the story. I can still hear their voices in my mind as I think about the book. A friend recommended this book to me as a birthday present and I'm so glad she did. The dual stories of Joanna Langley in the 70's and her father Hugo, a downed airplane pilot in WWII caught my attention early on and didn't let go. I normally don't like stories that jump back and forth in time, but the stories of Joanna and Hugo were different enough that the mechanism worked. 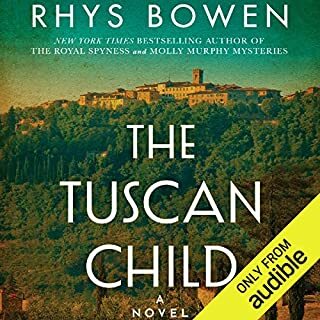 Joanna's quest to find out what happened to her father, contrasted by her father's story as it unfolded, were interesting both as a portrait of a Tuscan village, and a tale of WWII heroism and love.